The Earth has been deserted. The human race has been wiped out. Robots now inhabit it . However, one human remains. A young girl named Haruka is the last human left on Earth. With the help of 5 robot friends, she will find out how the Earth became a place for robots, and her own past. 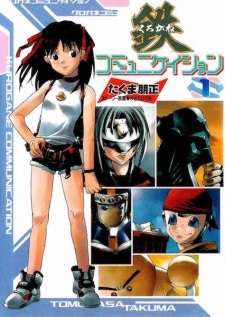 Kurogane Communication had its first volume published in English by Go Comi on June 15, 2008.